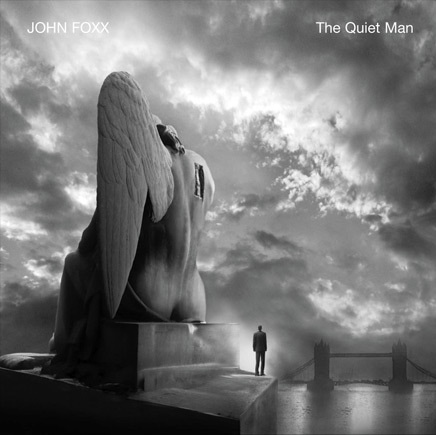 The ongoing 'Quiet Man' story has been a significant element in John Foxx's music, dating back to the very start of his career. It has formed a lyrical backbone all of Foxx's song writing, and he has been reading passages from the book at live events, since 2008. One could argue that as The Quiet Man is primarily a book, it should be released as such, and although a book version is expected (one day), the first official Quiet Man release is this recording of five select lengthy readings. The various parts do echo the pieces that have been performing live, although on The Quiet Man, these are not read by Foxx himself, but Justin Barton. For me, although well read, Barton's calm voice simply doesn't have the same warmth or emotion that Foxx's own narrative as heard on The Hidden Man did – on The Quiet Man excerpt on that album, Foxx's homely Lancastrian accent really brought his personality into the pieces and brought these emotive readings to life. Foxx is still present though, in the form of atmospheric and melodic piano music in the background, not unlike his playing on Translucence. While the story of the quiet man may not yet be complete, this recording concretely sets down the first chapter in this enchanting and fascinating tale about of a man in a grey suit, in an ever-evolving city.